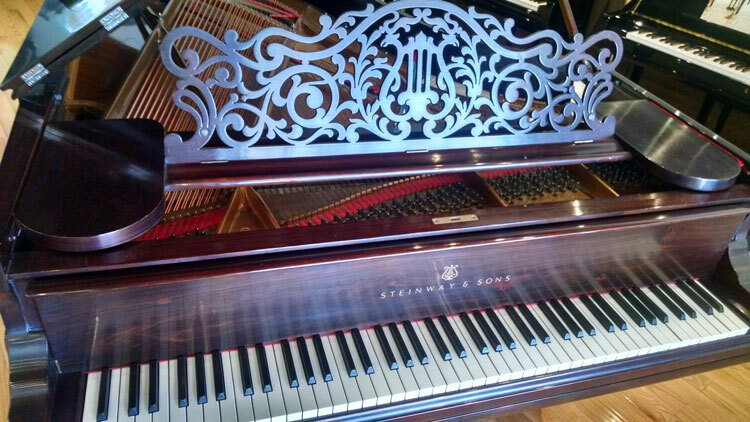 Frequently we are called in to clean the interior of a piano. The dust and debris settles onto the entire surface area of a grand piano. Since the strings are over the sounding board, we use a special cleaning device that is able to get under the strings and pull all of the dust and debris out. It is then vacuumed and gently wiped with a 50/50 distilled white vinegar solution. Piano keys are especially dirty. Water and a rag cleans this up and I also use denatured alcohol sparingly.